Home Improvement. Construction. Restoration. Home Security. Insufficient supply or no hot water at all is one of the most common plumbing problems for any household. For most people, a shower can’t be classified as a good one if there’s no hot water coming out of the showerhead. From showers, baths, cooking, doing laundry, and cleaning dishes, water in its varying warmth has a lot of uses in a house. The demand for hot water by every household member is quite high. Thus, your water heater is expected to work hard. It’s no surprise that there come instances where you will need to check if you need professional water heater repair done. 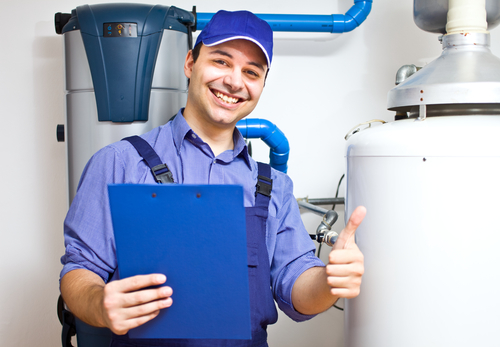 Over time, your water heater will go through wear and tear and will need to be repaired or replaced altogether. The stress of usage, how old the tank is, and other factors will affect the overall condition of the device. Generally, water heaters can last up to ten years. While you can certainly do scheduled maintenance steps to extend the life of your heater, the standard rule is to replace the current tank with a new one if it has been in operation for more than seven or eight years. As a homeowner, it’s essential to see the signs that would show when it’s finally time to replace your heater. Fortunately, some of these symptoms readily manifest themselves so that you can make the necessary repairs. As we previously mentioned, the heater should last up to a decade. Nevertheless, not all heaters are expected to last that long – particularly gas water heaters, which only last up to eight years. If you have acquired an already existing home, check if the heater is gas powered, when the manufacture date is, and how long the heater has been up and running. During the lifespan of an average, ordinary house, a homeowner is going to inevitably replace the water heater. Unfortunately, not all owners know the expiry date of their home’s heater – especially when the majority of the issues will arise when the heater is getting older. Rust is the number one enemy of steel, which is considered to be one of the sturdiest materials. When corrosion happens on a steel surface, the damage is gradual. It spreads little by little and slowly eats through the steel. If you see rust on water pipes and tanks, the first sight of rust is a warning that leaks are impending. The source of the rust can be quite tricky to pinpoint. One tip to determine if rust is coming from the tank or the pipes is to start draining buckets of hot water from the tank. If you’re still getting rust water after the third or fourth bucket, the issue is with the tank – which means you will have to replace the water heater entirely. Whether the rust is originating from the tank itself or the pipes connected to your faucet, it’s always the best course of action to remove any rust at the first sign of it for the sake of cleanliness and sanitation. If your heater is producing strange noises, it’s its way of telling you that it’s unwell. These noises will start getting louder and louder as the tank works to heat up water. If your household uses a significant amount of hot water daily, the problem is even more evident. Noises from a water heater are typical because of sediments. They will start to accumulate on the bottom of the tank over time. Sediment buildup can cause your heater to make noises, resulting in inefficiency and increased damage. This issue can be remedied by flushing the water heater once a year, draining the sediments from the tank. However, only qualified plumbing professionals can do a proper tank flush. If a tank still makes noise once sediment has been flushed, there is probably a more severe problem with the water heater overall. In any case, healthy water heaters shouldn’t make noise, and those that creak or rumble despite periodic flushing are likely on the verge of a crack or leak regardless, and should, therefore, be replaced as soon as possible. Water is one of the most used resources in every home. And in its daily consumption, we require water to be in some degree of heat. When your heater fails to function for any reason, a water heater repair conducted by a qualified plumbing professional should be in order as soon as possible – this can help you ensure the comfort of your home. © 2019, Tools of the Trade. All Rights Reserved.